One of the most interesting places we visited in New Zealand was a project that seems a lot like our farm project. 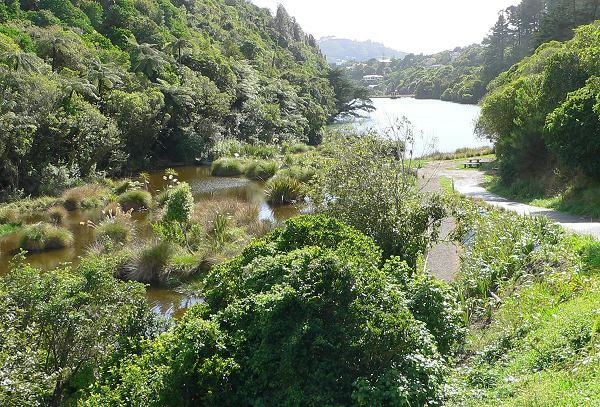 It’s called Karori Wildlife Refugeand it’s located just a few kilometers from the city center of Wellington. Here are some of the photos we took of the refuge, and a little about the project. 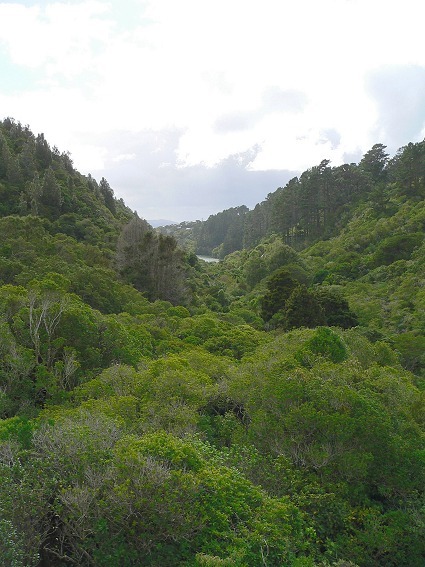 Like many isolated islands, New Zealand developed almost completely without mammals. The only native mammals are two species of bats. As a result, the native birds didn’t develop any ways to defend themselves from animal predators – many of the birds were flightless including several species of Kiwi, the national bird of New Zealand, and the extinct Moa. And the vegetation developed without any large herbivores. Originally most of the islands were forested. Human settlers brought possums, deer, rats, cats, dogs, and mice. All these animals were very hard on the native plants and animals. Some birds like the Moa became completely extinct. Others are now only found on small islands where there aren’t as many predators. Settlers cut down forest, planted crops, hunted the larger birds, and mined for gold. 40 percent of the native bird species and much of the forest has disappeared. 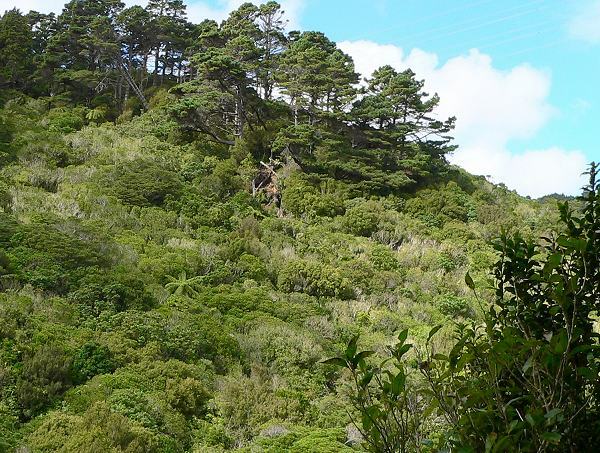 The valley that is now Karori Refuge was once used by the Maori people for hunting, and then by the Europeans for farming. 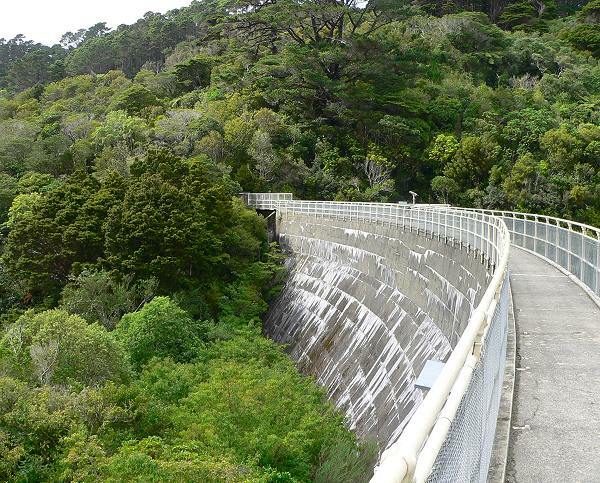 A dam was built to create a reservoir for the city of Wellington, and in 1906 the area was closed to other activities so as not to contaminate the water supply. Eventually the city needed a larger reservoir and a new dam was built in another area. So in 1998 the reservoir was decommissioned except for emergencies. At that point some people decided that it would make a good place to restore some of the vegetation and birds that were native to the area and were quickly disappearing. The refuge is about 623 acres, 1 ½ times the size of the farm. To solve the predator problem, a high, densely woven metal fence was erected around the valley, and predators inside the fence were poisoned. The fence was completed in 1999, and the predators were eradicated by 2000. So the refuge project is about the same age as our farm project. 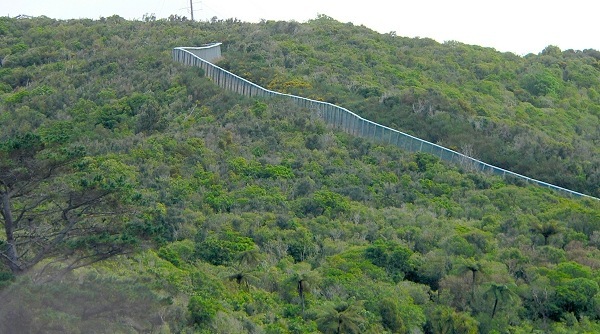 Here’s the predator fence going up the hillside. Since 2000 the vegetation has been growing back, and there have been releases of some rare native animals and birds. There are plans for more releases of native animals and for planting some of the plant species that aren’t coming back on their own. The hope is that in 500 years the area will again look like it did before human settlement. That’s even a longer timeline than our projected 100 years for our farm! 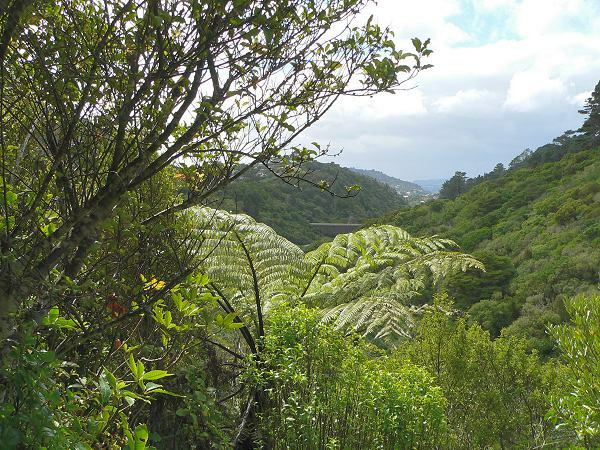 The refuge is in a lush valley, with large pines and other native trees and tree ferns. In this photo you can see the dam in the middle, and the city of Wellington in the distance. There’s a stream that runs down the center of the valley and smaller ones that run down the hillsides into it. 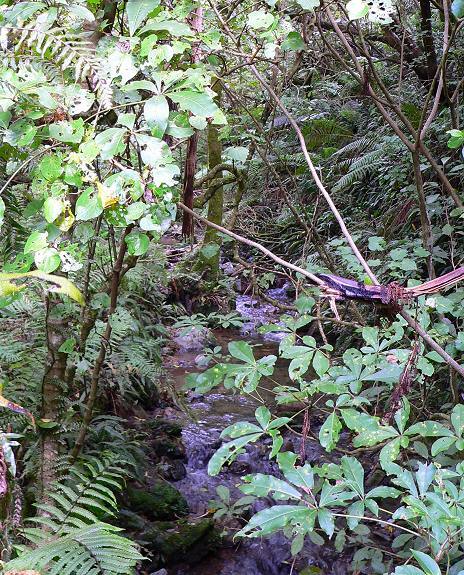 The areas near the stream are dark because of all the plants and the very tall trees. 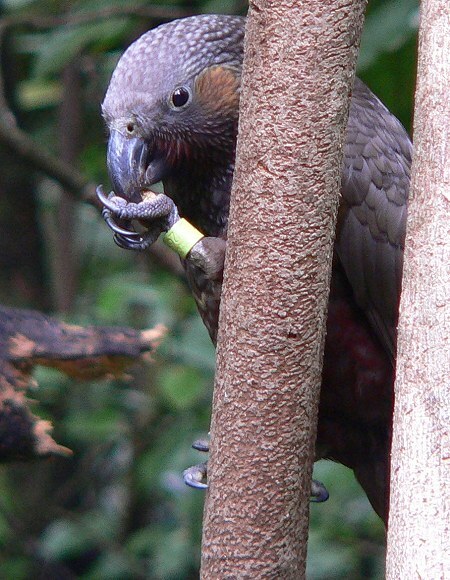 This is a Kaka – a large gray native parrot. Kakas are endangered but they’ve been released in the refuge and their population is increasing. 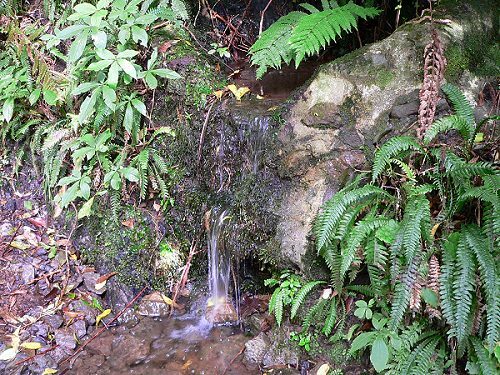 A tiny waterfall in one of the streams that runs across the path. Here’s the dam – scenes like this made us feel like we were walking through the computer game Myst. 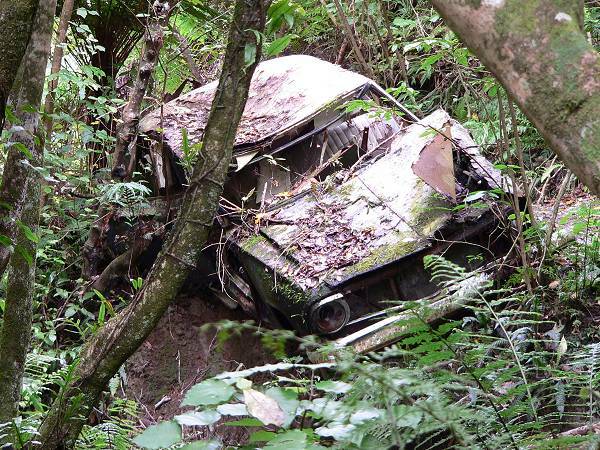 There were still a few remnants of the activities that had gone on there long ago – including this old abandoned car. 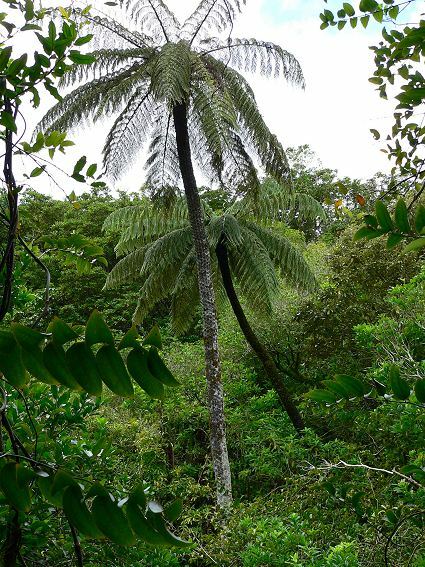 Some of the many species of tree ferns native to New Zealand. 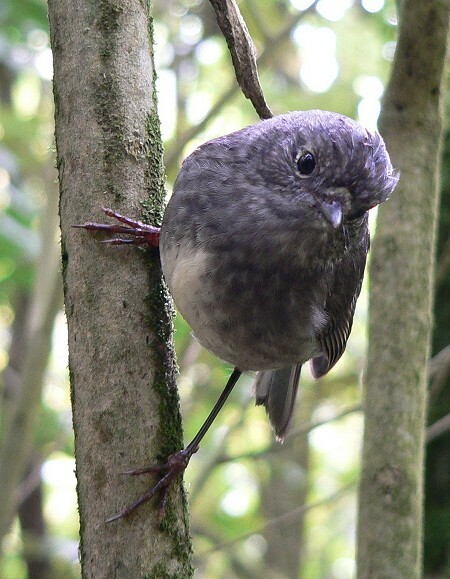 A North Island Robin, a bird that lives in native forests. They had disappeared from Wellington but were reintroduced into the refuge and are doing well. They’re very curious about people – this one kept hopping closer and closer and eventually almost walked across Mike’s shoe. The wetland below the dam. Another hillside with some huge old pines.